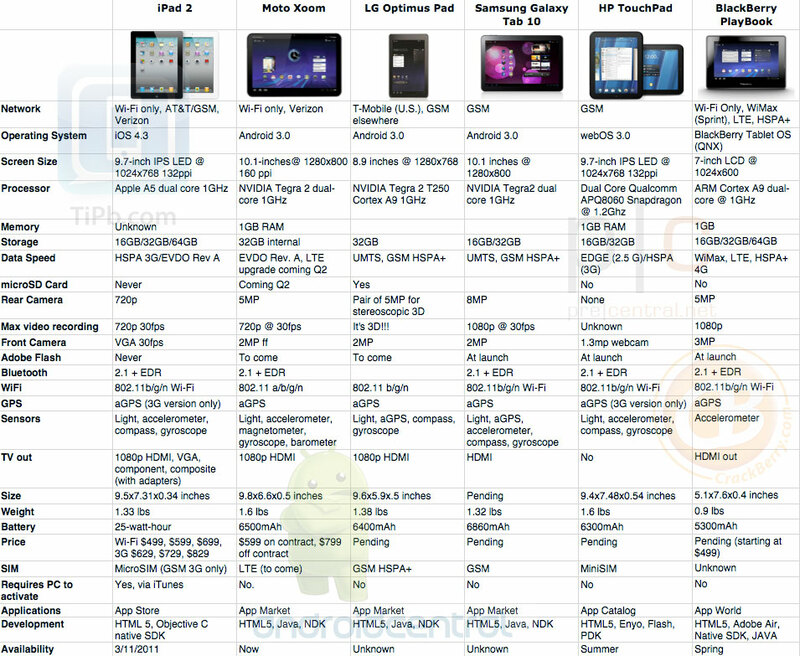 This chart shows a comparison of some tablets that are on the market or that are going to be on the market soon, most notably for me is the Blackberry Playbook. It releases in six days and it is the first real multi-tasking, enterprise ready tablet. It will really do so off what RIM can do outside of the smartphone arena in my opinion.